Apple is set to unveil the iPad 5 and iPad mini 2 tablets next Tuesday and both are set to feature Apple’s TouchID sensor. According to analyst Amit Daryanani over at RBC Capital Markets, the iPad mini 2 is going to be the much better seller of the two, beating its bigger brother 2:1. More precisely, he expects the second-generation iPad mini to take 65 percent slice of all Apple tablet sales leaving 35 percent to the 9.7″ iPad 5. 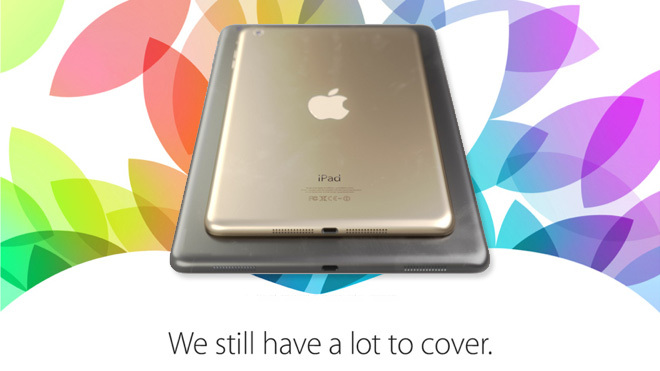 The more portable iPad is rumored to pack a high resolution Retina display and thus be called the Retina iPad mini. Because of those supply chain concerns, analyst David Evanson of Canaccord Genuity is inclined to think that the fifth-generation iPad will outsell the Retina iPad mini. According to his prediction Apple will sell 12.9 million iPad 5 and 11.5 million Retina iPad mini units in the three months of market availability of the two tablets. We’ll see which analyst was closer to the truth once Apple actually announces the two tablets and the first sales data surfaces.